Amusing The Masses–With Your Help! The exhibition logo. The sketch of the carousel horse at the top is from one of William F. Mangels’s patent drawings. However, first let me tell you about our subject: William F. Mangels. There are a lot of people interred at Green-Wood–over half a million! Some were famous, some were infamous. But certainly one of the most fascinating individuals–and one very few people have ever heard of–is William F. Mangels, a genius behind the American amusement park. For over a year now, we have been planning an exhibition about Mangels. But, as you may know, exhibitions are not cheap. We are trying to raise money for this one–and you can help now by contributing to our Kickstarter campaign. Born in 1866, William F. Mangels immigrated from Germany as a teenager and settled on Coney Island, by then the world’s capital of amusement parks. And he soon brought his genius, creativity, and mechanical skills to bear to transform the amusement park industry. And don’t just take my word for it: for his tremendous work, Mangels has been honored with induction into the Hall of Fames of the Coney Island History Project and the International Association of Amusement Parks and Attractions. William F.Mangels, amusement park pioneer. 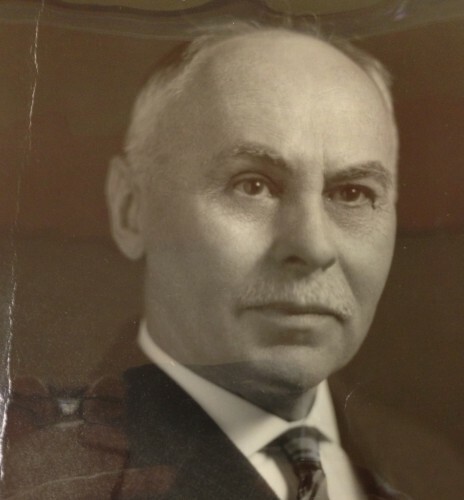 The story of William F. Mangels is that of a German immigrant mechanic who, from his Coney Island factory a century ago, imagined, designed and built more amusement park rides than any other person. By the time he was twenty, Mangels had opened his own machine shop, where he made cast iron targets for shooting galleries. He was a builder, not a carver—so, when it came time to manufacture carousels (or carousals, as he spelled it)—he collaborated with other Coney Island immigrant artists. Mangels built the mechanisms; they carved the horses. 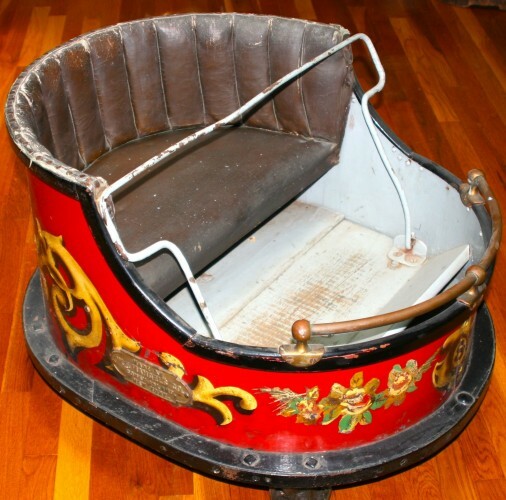 In 1901, Mangels patented an overhead device to give carousel horses a galloping, up and down motion; this soon became the standard in the amusement park industry—and his invention is still in use today. By one count, his fertile imagination and his mechanic’s skill created 39 different rides. The Tickler was invented in 1906, The Whip and the Wave Pool in 1914. Known as “The Wizard of Eighth Street,” Mangels also built roller coasters and scenic railways. He became an amusement ride guru. His patents show the unlimited possibilities of a century ago–when electricity and airplanes were inventions just beginning to change the world. A master mechanic with a can-do spirit, William F. Mangels was constantly tinkering, inventing new and improved amusement rides. No challenge was too big for him. 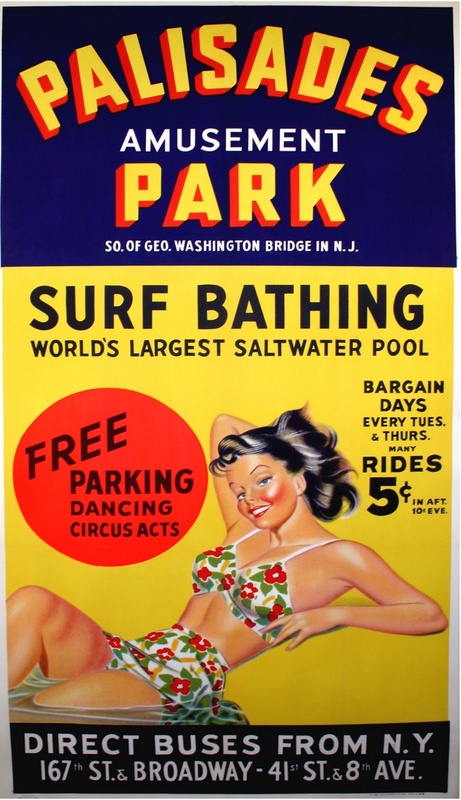 When Palisades Park in New Jersey asked him to design a wave pool in 1914, he obliged. He later remarked that, had someone asked him to build a ride to the moon, he probably would have done that too! 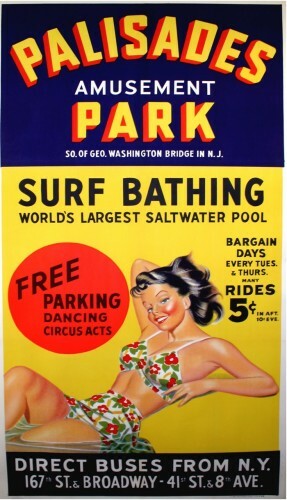 A century ago, William F. Mangels invented the Wave Pool for Palisades Park in New Jersey. The Mangels name was known around the world—his rides operated across the United States and Canada, as well as in England and France, and as far away as New Zealand. Many of his creations are still in operation today—including the recently-restored B & B Carousel as well as the Pony Carts and the Fire Engine rides at the Wonder Wheel on Coney Island. Whether you know it or not, you’ve probably enjoyed a Mangels ride. Have you ever been on the Whip ride? How about the Speed Boats? Both designed by William Mangels! The Whip was Mangels’s most famous creation. Mangels’s most famous ride was The Whip. His Human Roulette Wheel—sending bodies in every direction until they tumbled down a chute and to the ride’s exit–has to be seen to be believed. 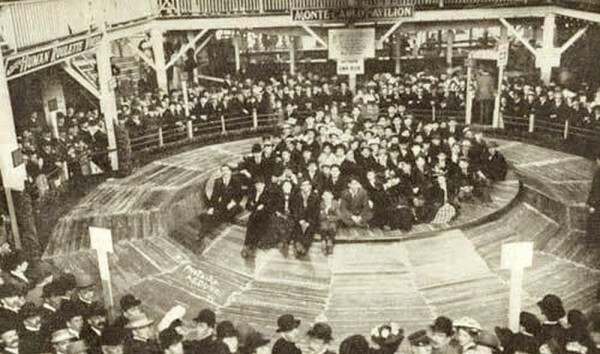 The Human Roulette Wheel spun bodies in all directions. 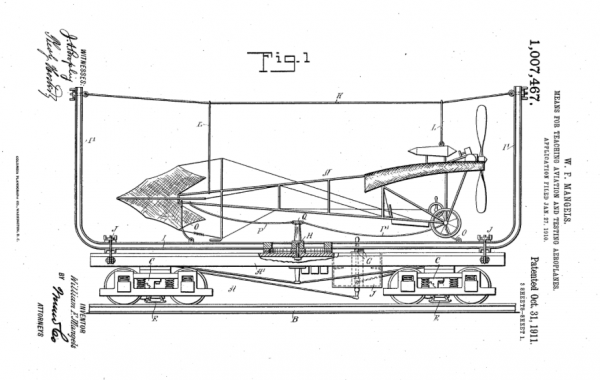 And his Tickler, a big wooden inclined plane, in which riders, driven by the force of gravity, crashed their way against wooden barriers all the way down to the bottom, would be a lawsuit waiting to happen today. The Tickler launched cars down a large inclined plane–and the force of gravity drove the cars down the plane as they crashed against wooden barriers. I have been collecting Mangels material for The Green-Wood Historic Fund for years. We own a Whip car, a Speed Boat, and a Pony Cart that William F. Mangels built. We have blueprints of his Tickler as well as the Electric Railway, and many other items, in our collections. A Kiddie Whip car from early in the 20th century. It and other great items will be part of our exhibition honoring William F. Mangels. These items, as well as many others from private collections and Columbia University, the New York City Parks Department, and other lenders, will be on exhibit from September 7 until October 26 in Green-Wood’s Historic Chapel. 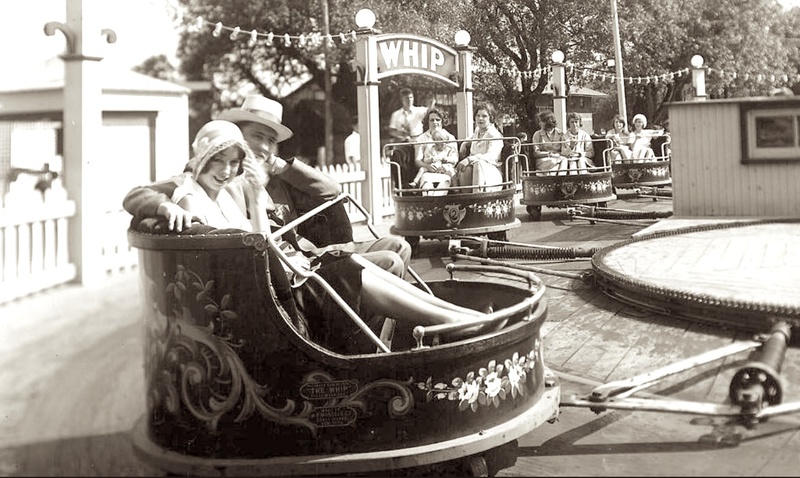 We will tell the story of William Mangels, his carousels, his amusement park rides, his shooting galleries, and more. In the exhibition, you will see old movies of Mangels rides and shooting galleries in operation. And we will display a very rare survivor—one of his shooting galleries, a mammoth 22 feet across and weighing a ton —one of only a dozen or so Mangels shooting galleries that still exist-which early in the 20th century adopted the latest technology of the time: electricity! You can help us make this an unforgettable exhibition. Today, we have launched a Kickstarter campaign to help fund this exhibition–to pay for framing and lighting and shipping and graphics and signage and banners and videos and more. Please click here, watch our video about the exhibition–see Mangels’s Human Roulette Wheel and his Whip in operation almost a century ago—then think about the man who brought so much enjoyment to so many millions–and contribute now. Our Kickstarter campaign will last just 30 days–and if we don’t hit our goal, we get nothing. So we need your help! Thanks for your support–it is greatly appreciated! And come see the exhibition when it opens to the public on Sunday, September 7. 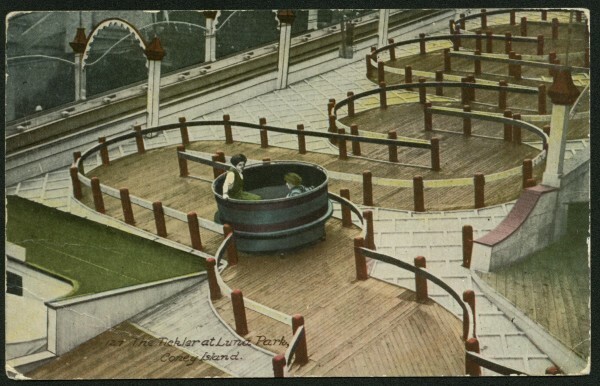 Coney Island, Coney Island History Project, Pony Carts, Speed Boats, Tickler, Whip, William F. Mangels.